As yesterday was Thanksgiving, many of us have been sharing what we are thankful for with loved ones, colleagues and friends….. I received an email on Wednesday evening from a member that really touched me that I would like to share. I only share this because this is how all of us make a difference every day in the lives of the members we serve. When I first started my running group months back, I had a very mixed group in terms of ability. One of the women who joined my group found running very challenging and was quite intimidated by the thought of running with a group. So, I invited her to join me on a morning when I was not coaching the group, to do some things with just her. We started lifting some weights and just running at the park together and she was beginning to make progress. Two months ago I received an email from her to say that tragically, her daughter’s husband was killed in a car accident, and that she has had to stay with her daughter to help her through this incredibly difficult time. She told me that she wouldn’t be able to work out with me for a while. I heard from her one other time over the past two months to just confirm to me that she still wasn’t able to come back to run with me, her daughter still needed her help. Then, just this past Tuesday I sent out an email to my team of women wishing them a happy Thanksgiving, and she responded. She apologized for not having been able to run with me over the past months and that she just couldn’t seem to get herself motivated to start again. She said she was going to try to come back this coming week if I was willing to run with her again. Then, she went on to say that she wanted me to know that one of the things that she is most thankful for this year was having met me. She thanked me for all I had done to help her. That email meant the world to me. For her to have taken the time when her life is obviously very stressful, showed me that we really do have impact on the lives of our members. It showed me that the little extra things we do sometimes really do make a difference to people. 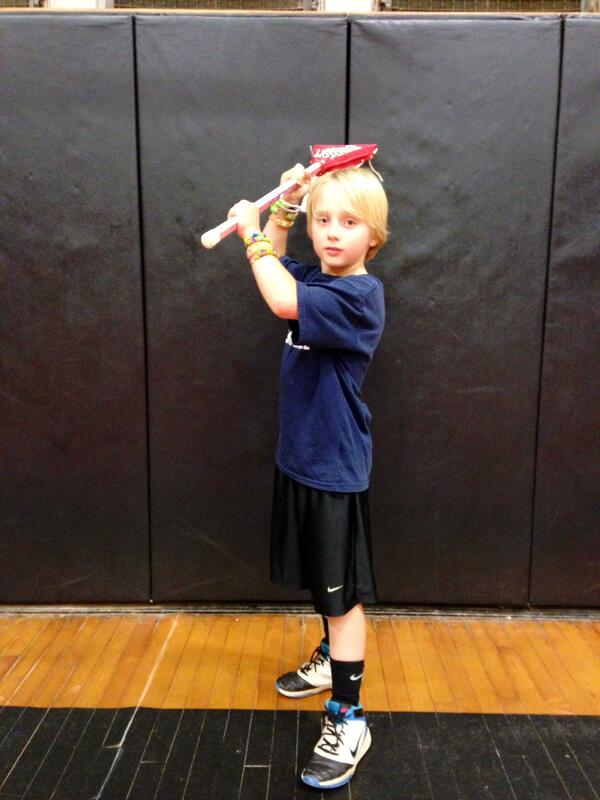 We are so proud of our West Hartford YMCA Lacrosse All-Star, Henry O’Connor!! It’s very important to instill confidence in children. Achieving something or being recognized for a job well-done helps children to believe in themselves and build self-confidence. It’s such a great feeling to be able to recognize children in our programs who exemplify the values of the YMCA and who deserve to be rewarded. Q. 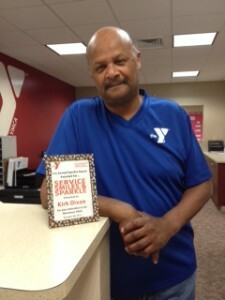 What makes Henry a YMCA All-Star? A: Henry is very active and involved. He is a three-sport star that is always willing to teach his fellow teammates. “We like Tri-Town because they have the best counselors and keep the kids busy. Reading this put a smile on my face. It’s always great to hear that we are doing a good job of living our cause and making an impact in our communities. This week Downtown held it’s Annual Meeting at Hot Tomatoes restaurant in Hartford. All staff and board members were invited to attend this “celebration” of a year of transition and hard work at the Downtown Y. It was obvious to anyone who attended the meeting, that Downtown is a special place. Several members of staff spoke about how close we are as a staff and how hugs and encouragement are plentiful. This is what makes us different…we truly care about each other and love each other and we aren’t afraid to show it!! This rubs off on our members and creates an environment of support and caring for each other. 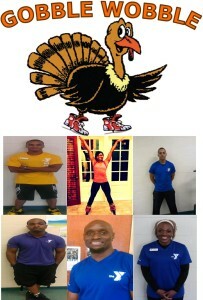 In the spirit of giving thanks, the Wilson- Gray YMCA would like to thank all members for their support throughout the year by hosting its first annual Gobble Wobble event. This free event for members will also provide them an opportunity to give thanks to someone in their life by inviting a friend to come along for free. What better way to give thanks than to give the gift of wellness? This one time event will feature a number of the Wilson Gray’s group exercise instructors. The class will fuse all components from our group exercise classes into 90 minute workout. We invite you and your friends as well to come get your Gobble Wobble on! I came in to work one morning to find an extremely old picture on my desk. Our West Hartford Program Director found a box in his office filled with hundreds of old YMCA team photos and among them was a photo from back when I was 12 years old and played in the West Hartford YMCA Basketball League, with my dad as a volunteer coach. 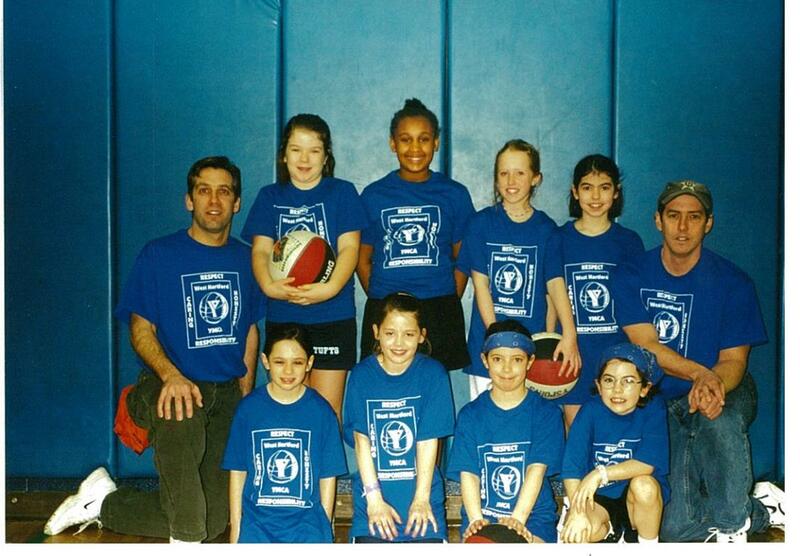 My dad is the coach on the left and I’m the child in the front who can’t seem to keep her eyes open. My family had recently moved to West Hartford around this time from Syracuse, New York for my dad’s job. I was extremely upset about the move and was very angry at my dad since it was “his fault” that I had to leave my friends and my comfort zone. However, bonding and having fun with him on the basketball court helped my anger to subside and I have the Y to thank for that. 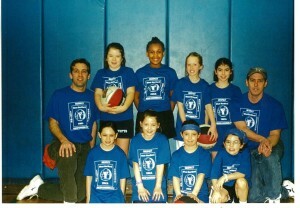 I even made some of my first West Hartford friends through the league! Playing basketball at the Y with my dad as the coach was a great experience and I strongly encourage parents to consider volunteer coaching for their children’s teams because it really is a great way to bond and create lasting memories with them. 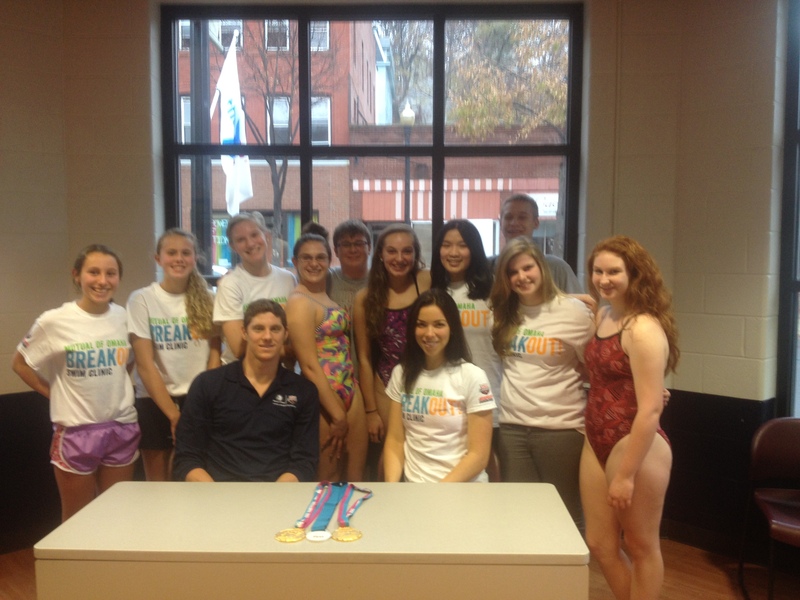 The Wheeler Tigersharks Meet Olympians! The Wheeler YMCA Tigersharks were able to send a small group of swimmers to the YMCA Yankee Cluster Swim League’s Clinic which was held this past Sunday at the Meriden YMCA. At the clinic, swimmers were able to meet Olympic Gold Medalist Conor Dwyer as well as Olympian Kate Ziegler! While there, the swimmers heard stories about how Conor and Kate got involved in the sport, what they are currently doing, and about a day in the life of an Olympic athlete. Conor and Kate took the kids into the pool and broke down all four strokes for the swimmers. Each swimmer also had a chance to race one of them in a 25 yard swim off the block! This was a unique opportunity for our swimmers, and one they won’t soon forget. On November second Farmington Valley hosted a training for program directors and site directors on Project Based Learning. Sonia Toledo and Sarah Chambers put together a great program to introduce all of us to this new and exciting teaching tool. Everyone in the room seemed eager to learn and very excited to bring back the new information that they gained from the training. The training was very hands on, and taught all of us a very new way of teaching. We learned to ask driving questions to the children, and to let the children take an activity or lesson where they want it to go. Most exciting about this new tool is that while children are learning about new topics and information they are also learning how to work as a team, problem solve, and find out what really interests them. I know this because as a group we experienced this in the training. There are really infinite possibilities as to what you can do with Project Based Learning. I was so excited after I left that I got to work right away. I went back to my site and asked my kids what they would like to learn about, they gave me a great list of ideas to start with. One thing that my children really love doing is performing skits, so the first thing we did was a skit activity. I split the kids into four groups and gave them each a bucket with assorted items in it. I also provided a brief set of rules. The rules were that they needed to create a skit using all of the items in the buckets, they needed to write a script, and that they had to have at least three characters in the skit. I read the directions and then left them to work. It was amazing! The kids were so excited and I began to see leaders of all ages emerge in each group. Then parents began coming in, and instead of leaving, they stayed and began participating in the activity with the children. They were just as excited about the activity as we were! I am so excited to see where Project Based Learning will take us this year in my after school program and also at camp. 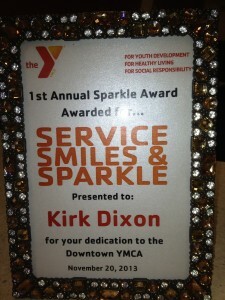 This is just one more way that the Greater Hartford YMCA is enriching the lives of youth. We are not only developing our staff into cause driven leaders but also our children. We are striving to give kids the tools in the afterschool setting that they will need to become successful adults. This week has been….how should I put it…a bit trying…..
We have an issue with our dryers this week…basically…they have not been working. Now, anyone who knows how things work here at Downtown knows that our members expect towels when they come to workout. In fact, many of them expect multiple towels. This makes for a very difficult situation when you have no dryers that work. So what do we do???? 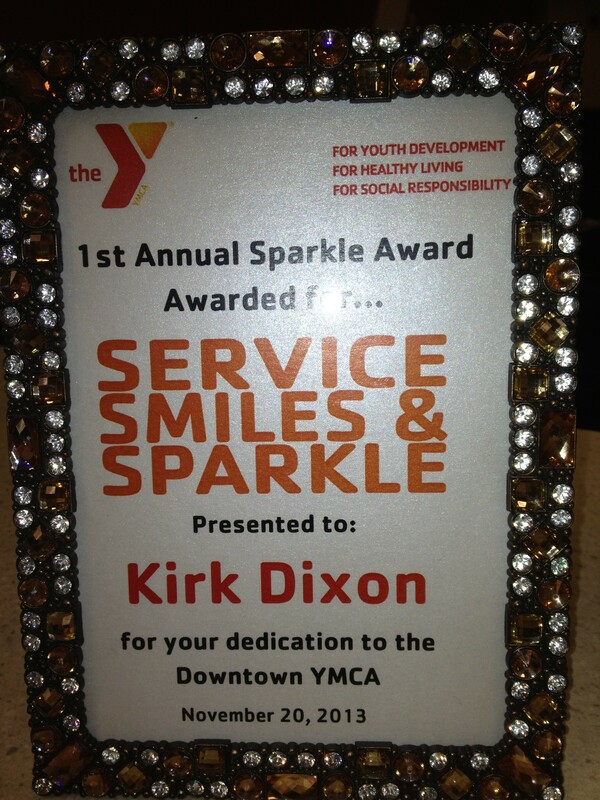 ?….Well, if you’re a Downtown staff member you pull out your “sparkle” and you make it work!!!! Which is exactly what we have done!! Everyone took a crazy week and roared back at it with humor and teamwork. Our smiles and laughter got us through the week and kept our members happy in the process. Great job team!! We’ve got this!!!! !